Bathrooms are one of the favourite places in everyone’s home, and it is only natural that you want it to be cosy and comfortable. Sometimes, this means completely remodelling the place, painting the cabinets, and buying new curtains; but what if there were other, less conventional ways to make the place even warmer and cosier than it already is? For those who do not have enough space but would like to see trees and flowers outside nonetheless, there is a solution. You can easily create a faux window and bring in some of that flowery charm from your garden. There are fake window posters, or you can make one using old window frames or even old mirrors, add a flower vase with a few twigs and you will feel like you’re looking straight into a garden. Bath mats are important, but that does not mean they cannot be unique and unconventional. You can easily find some pretty interesting mats on the market these days; from plain white ones that turn red once you wet them (makes your bathroom look like a murder scene after you take a shower), charming pebble ones that make you feel like you’re on a beach, to living moss ones that grow actual moss on them, so when you step on after your shower, you are actually helping the moss grow. You would be surprised just how different your bathroom will look if you only bring in several flower pots with a few plants. Make sure you choose the kind of plants that like warmth and humidity so they will grow fast such as bamboo, Boston fern, and philodendron. You can put them on shelves, on the floor next to the tub, or even let them hang from the ceiling (just make sure the strings they will be hanging on are strong enough, you wouldn’t want to risk an injury). Built-in tubs may be very reasonable and convenient solutions for those who like to enjoy long, hot baths, but they are incredibly dull and practically impossible to upcycle. If you are into rusty chic decorations for your bathroom, one of the possible solutions is to cover it up with faux stone. Not only is it lighter and much more affordable than real stone, but it transforms the room in an instant. According to plumbing experts who deal with blocked drains in Sydney areas, this drain issue is often neglected. It may lead to tearing it all apart later on in order to fix this problem. This simple solution may seem dark, but it will brighten up both your days and your mood from the early morning. 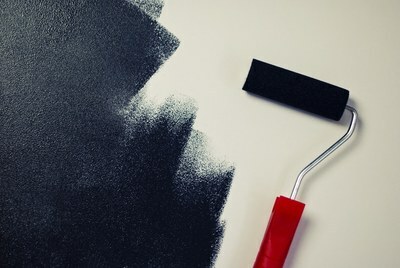 Paint one wall with chalkboard paint and leave small reminders, sweet notes, or inspirational quotes to yourself, your roommate, or members of your family to brighten up their mornings. Your walls should be used for something more than just wallpapers and mirrors – turn them into ultimate storage units with a few easy tricks. Put an ordinary plank on a wall and attach several mason jars onto it – voila; you now have space for your jewellery, glasses, hair and makeup brushes, and makeup removing kit. Another thing you can do is put a wine rack on the wall and use it as a towel holder. Neatly folded colourful towels can be easily accessible and can also serve as a decoration, especially if your bathroom is small. One might think that it is impractical to use wood in bathrooms due to the humidity. However, proper wood protection and care can solve that problem. You can even install wooden floors and contribute to the overall cosiness of the bathroom. If you want to add just a touch of wood, then install accent wall behind your free-standing tub. The only thing stopping you from trying out these and thinking of new ideas is you, so don’t be afraid to get creative and improvise. Work with what you have, bring inside more of the outside light and greenery, and create a space that will perfectly reflect your personality and lift your spirits every morning.